Lance Clairmont, owner and operator of, a Paso Robles carpet cleaning service, is known by his clients for going above and beyond to ensure his client’s satisfaction. Located in Paso Robles, Lance has built a strong local reputation due to his professional work ethic, experience, and of course outstanding results. Experience makes all the difference and Lance has the experience, which is why he is the local go to for carpet cleaning, tile cleaning, and window cleaning. Lance has many years of experience dealing with the toughest of carpet cleaning situations. 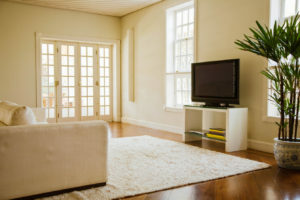 After Lance visits and completes his work, you will notice there is nothing nicer than a freshly cleaned carpet that can be enjoyed by all who enter the room. Lance will leave you satisfied with the results. Removing the toughest of stains is what Lance does best. Cleaning tile requires knowledge and experience. Cleaning tile must be approached with care. Lance knows how to make your dirty tile sparkle and shine as if it were new. Don’t put your tile in the hands of a lesser experienced company. You can trust Lance to get it right. Windows are difficult to reach and difficult to clean. Cleaning windows is tough on the back and can be downright dangerous in hard to reach areas. Call Lance and he will reach the tough to get areas and get rid of that streak. Each and every window of your home or business will be left looking clean and with zero streaks after Lance visits your home or business. Lance is the sole proprietor of Lance’s Carpet, Windows & Tile Cleaning and can be counted on to take care of your needs and always be available for follow up questions or tasks. Call today to receive the highest level of service. Cleaning your Carpets, Windows, and Tiling.